LAUREL, Md. 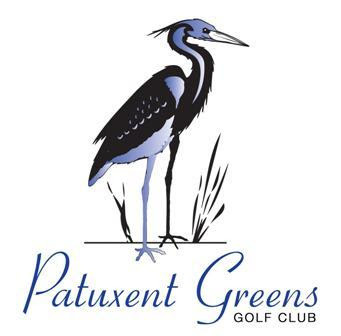 — Patuxent Greens Golf Club, a semi-private facility here in Prince George’s County, has retained Landscapes Management Co. (LMC) to provide third-party management services. New owner Alan D. Cohen had purchased the property from former owner/operator Fore Golf Partners. LMC subsequently signed a 5-year contract with Cohen and assumed control of club/course operations. Consummation of the Patuxent contract means LMC now has more than 50 client properties currently under management — in 18 states, Canada and China. In total, LMC has 1,008 golf holes under its management, or 56 18-hole equivalents. Patuxent Greens GC (www.patuxentgolf.com) is an 18-hole Russell Roberts design measuring 6,238-yards (par 71). Its tree-lined fairways are punctuated by some of the finest putting surfaces in all of Prince George’s County, further explaining why Patuxent is a local favorite among players hailing from both metropolitan Washington, D.C. and greater Baltimore. The full-service clubhouse, already a popular wedding and event venue, is scheduled for renovation — one result being a new banquet space that will accommodate up to 250 guests. In the Mid-Atlantic region, Landscapes now operates two properties in Maryland (Patuxent and Renditions Golf Club in Davidsonville), two in Pennsylvania (Butlers GC in Elizabeth and Mountain View GC in Fairfield), and provides services to three more in Virginia (Ballyhack GC in Roanoke, Winchester CC and Fredericksburg CC). “Actually, Mr. Cohen heard about Landscapes on account of a referral from Mountain View owner Bob Farrell,” Everett said. Founded in 1976, Landscapes Unlimited (www.landscapesunlimited.com) initially built its industry-leading reputation in the course-construction realm, with more than 1,700 completed golf course construction, renovation, and recreational development projects to date. The firm started managing golf properties in the late 1980s. In the spring of 2017, it announced the formation of Landscapes Golf Maintenance, a contract course-maintenance division headed by industry veteran Larry Hanks.